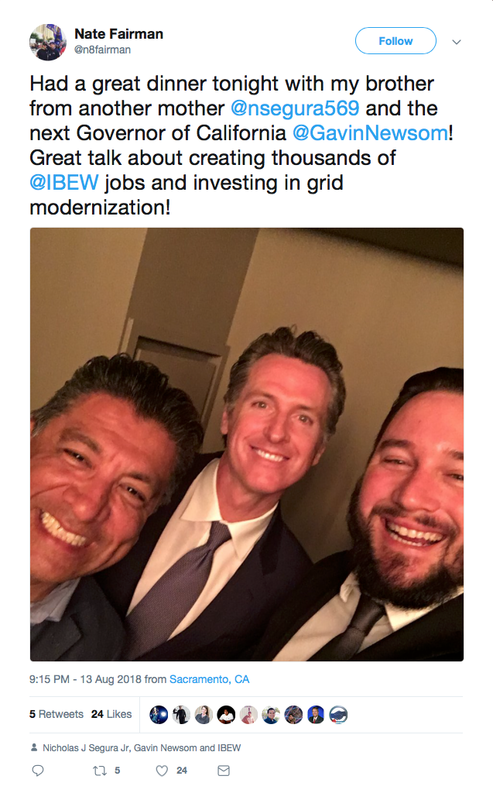 A Sweetwater Union High School District trustee who asked to be compensated for a board meeting he missed because of a “hardship” was actually in Sacramento lobbying on behalf of his labor union and having dinner with Democratic governor candidate Gavin Newsom. Superintendent Karen Janney recommended the board pay trustee Nicholas Segura the $413.50 he would have received for attending the missed meeting, but when two taxpayers objected the decision was delayed. In telling the board last month why he should be paid, Segura said, “I was planning on coming here that day until I was asked to have dinner with probably the next governor of California.” He added that he brought up Sweetwater school issues. Now, Segura has dropped the payment request, though the school board is expected Monday to discuss its policy on compensation for absences. School board members are not paid a salary for representing the district, instead they receive a monthly stipend of $827 for attending school board meetings. inewsource reviewed school district records and found Sweetwater trustees regularly approve compensating one another for missed meetings where “hardship” has been cited. Videos of past meetings show some of the absences were for trips not related to school duties. For example, board members approved paying Segura for a meeting he missed in June to travel to Sequoia National Forest. He did not return messages from inewsource about the payments for his absences. Since August 2016, records show the trustees have cited “hardship” 12 times for their absences. All five board members made the claim at least once, and they were paid. Eastlake resident Maty Adato is one of the taxpayers who objected to paying Segura. Kathleen Cheers is another taxpayer who has regularly questioned the board’s payment for trustee absences, especially when some of the district’s parents struggle to support their families financially. “We’re happy to go out and beg, borrow and steal for our children, but our board members are expecting to be paid for going on vacation,” Cheers told inewsource. Trustee Frank Tarantino has been paid for two missed meetings since August 2016. In both instances he cited “hardship” because of deaths in his family. 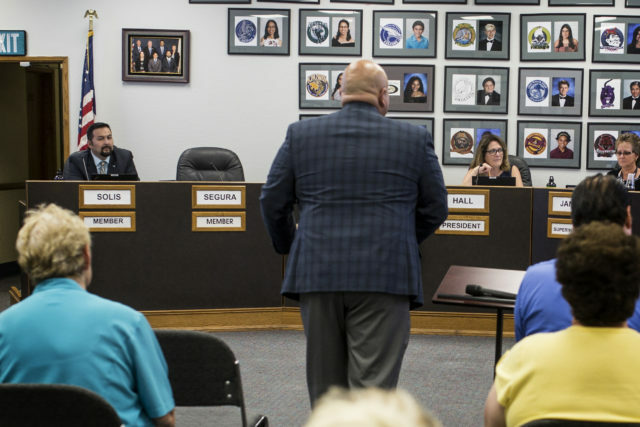 Board President Paula Hall told her fellow trustees last month that she supported paying Segura because he works throughout the month to benefit the school district. Hall said the board interprets what’s a hardship and not being able to get off work can fit that definition. Segura was in Sacramento to lobby as part of his job as business manager for the International Brotherhood of Electrical Workers Local 569. The board is scheduled to vote Monday to require trustees to begin filling out a form when they request to be paid for missed meetings. If they cite hardship, they would have to explain what that was.